Valentines day this week. The day of love. I wanted some decorations for the house but couldn't find anything I liked so decided to make my own. 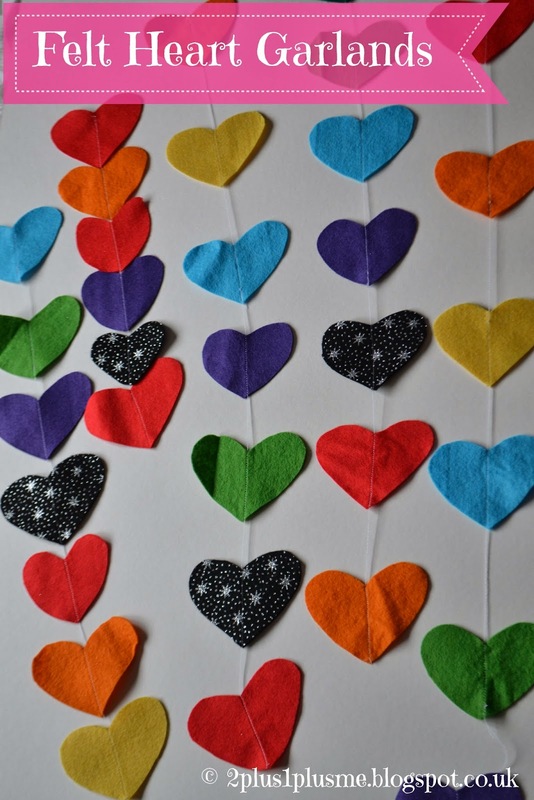 I cut lots of hearts out of some felt scraps and then ran them through the sewing machine to join them together and Ta-dah! 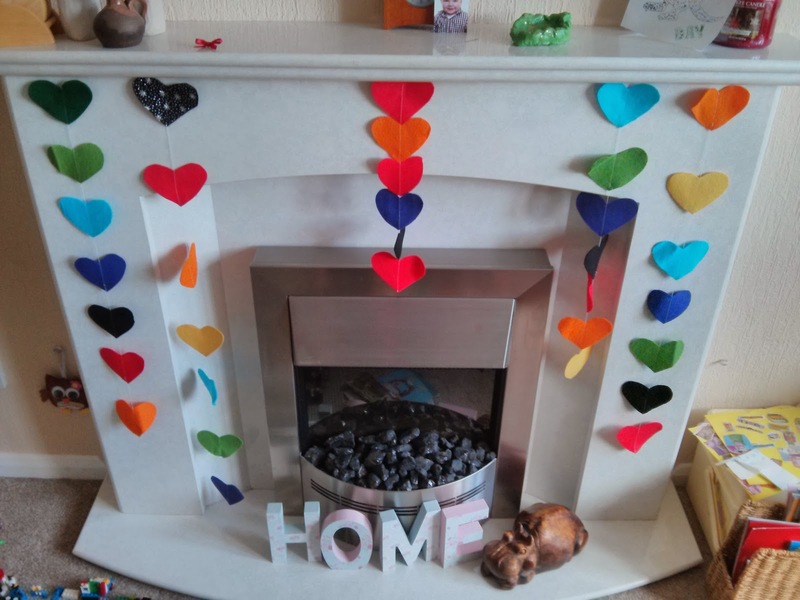 Valentines crafts are utterly wasted on men. Mr H won't appreciate these in the slightest but I love them and the girls will love them I'm sure. Happy Valentines Day everyone. You can never say " I love you" too much. If you love someone - make today the day you tell them.